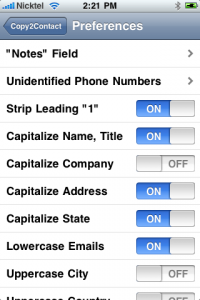 Copy2Contact For iPhone Is Here! Posted on March 24, 2010 in Front Page and News. 8 Comments Tags: iPhone. 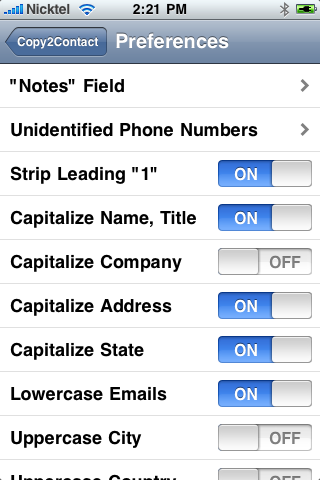 After a long development and testing cycle and a few rounds of rejections by Apple, Copy2Contact For iPhone and iPod Touch is finally available on the App Store! 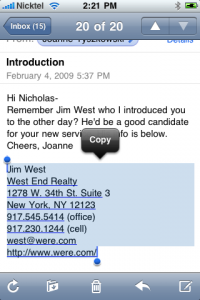 Copy2Contact… An ad-supported FREE version for the casual user. 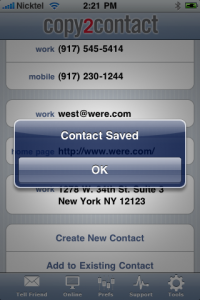 Copy2Contact PRO… An add-free version with no limits on how many contacts you can save. Perfect for power users! 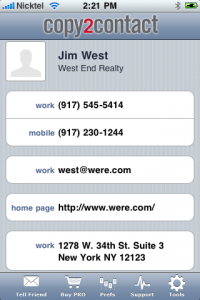 More info is available on the Apple App Store. Be sure to leave us a great review! And tell your friends about our Special Bundle Offer! Posted on March 23, 2009 in Front Page and News. 10 Comments Tags: iPhone. 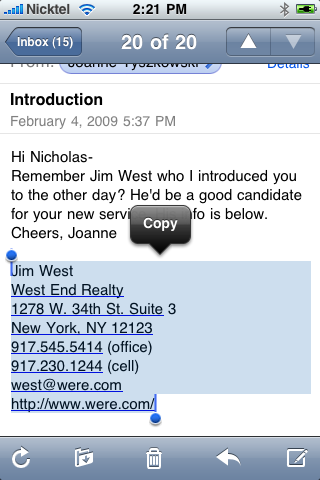 Just got a very basic implementation of Anagram up and running on the 3.0 beta iPhone. Here are some screenshots of the alpha version in action! Very exciting stuff. Will be demoing this at CTIA Wireless next week! 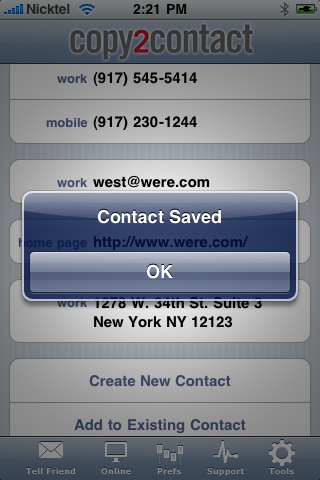 Click the “Save Contact” button and voila! 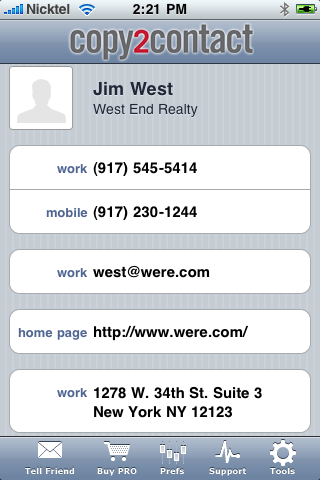 New contact in your Address Book.